We may still be fighting off the winter chill but warm weather is coming and for students everywhere, one of the most exciting and fun days of the entire school year is on the horizon. We’re talking about the annual school field trip. It’s a day of fun and learning that students, teachers and chaperones look forward to. 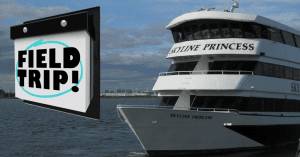 If you’re in charge of planning your school’s trip, why not make the day unforgettable by booking this year’s outing on a Skyline Cruise? Whether you are part of a school group or represent another organization like scouts or a church group you can plan an unforgettable day when you plan a field trip aboard the Skyline Princess, our 3-tier luxury yacht. Many of our cruises leave from our home dock at the World’s Fair Marina in Queens and you can spend the day learning about the greatest city in the world. We cruise past some of the most iconic buildings in New York City. There are plenty of things to design a lesson plan around. USA Today recommends teachers keep a field trip data base. You can teach about the Art Deco architecture of the Chrysler Building or the Empire State Building. Or discuss the many difficulties presented by the construction of the Brooklyn Bridge. What better way to learn about international relations than in the shadow of the United Nations? And you can teach about the immigrant experience in America as you pass Ellis Island and the Statue of Liberty. 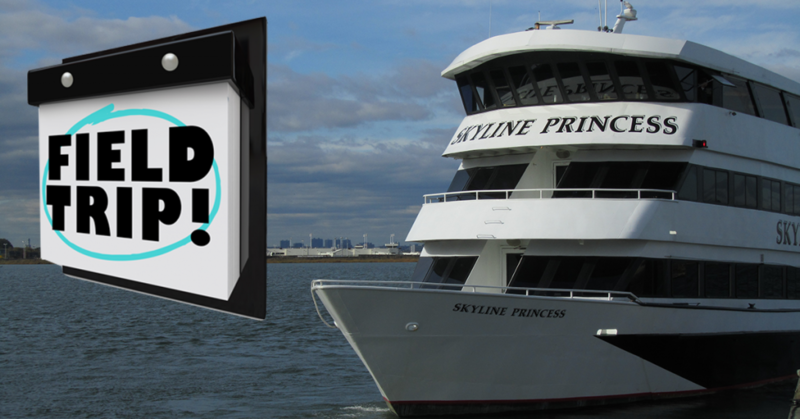 You can charter the Skyline Princess and treat your students to a tour of Long Island lighthouses or Connecticut mansions. Our 3-deck ship can be ideal for schools. Your guests can eat our scrumptious buffet dinner on the lower deck, while the middle deck can be used for a classroom or lecture setting. You can use our top deck for sightseeing and dancing. This deck, called the Skyline deck can be open air or enclosed. We work with groups of all sizes and we also can reserve a deck on a public cruise for your class trip or whatever other event such as a birthday celebration or corporate meeting that your group is planning. We’ll even reserve a table or two at one of our public cruises for even smaller groups. And you don’t have to worry about cancelation. Skyline cruises in all types of weather, all year round. Skyline Cruises has been working with school groups for 25 years. We can help you put together a day students will never forget. From memorable sights to incredible food, your class will have a fun and educational day. To learn more, contact Skyline today.